G. E. M. Anscombe (March 18, 1919 – January 5, 2001) (born Gertrude Elizabeth Margaret Anscombe, also known as Elizabeth Anscombe) was a British analytic philosopher. A student of Ludwig Wittgenstein, she became an authority on his work, and edited and translated many books drawn from his writings, above all his Philosophical Investigations. She wrote on the philosophy of mind, philosophy of action, philosophical logic, philosophy of language, and ethics. Her 1958 article "Modern Moral Philosophy" introduced the term "consequentialism" into the language of analytic philosophy; this and subsequent articles had a seminal influence on contemporary virtue ethics. Her monograph Intention is generally recognized as her greatest and most influential work, and the continuing philosophical interest in the concepts of intention, action and practical reasoning can be said to have taken its main impetus from this work. G. E. M. Anscombe was born to Gertrude Elizabeth Anscombe and Alan Wells Anscombe, on arch 18, 1919, in Limerick, Ireland, where her father had been posted as an officer in the British army. She graduated from Sydenham High School in 1937, and went on to read "Mods & Greats" (a course of study in classics, ancient history, and philosophy) at St Hugh's College of the University of Oxford, graduating with a First in 1941. During her first undergraduate year she converted to Roman Catholicism, and remained a lifelong devout Catholic. She garnered controversy when she publicly opposed Britain's entry into World War II, although her father had been a soldier, and her brother was to serve during World War II. She married Peter Geach, like her a Roman Catholic convert, a student of Wittgenstein, and a distinguished British academic philosopher. Together they reared three sons and four daughters. After her fellowship at Cambridge ended, she was awarded a research fellowship at Somerville College, Oxford, but during the academic year of 1946 - 1947, she continued to travel to Cambridge once a week, together with her fellow student W. A. Hijab, to attend tutorials with Wittgenstein on the philosophy of religion. She became one of Wittgenstein's favorite students and one of his closest friends . His confidence in Anscombe's understanding of his perspective is shown by his choice of her as translator of his Philosophical Investigations before she had learned German, for the purpose for which he arranged a stay in Vienna. Her translation of the Investigations is marvelous—lucid, intuitive, compelling in style—so much so that it is read all over the world as if it were the work of Wittgenstein himself. Indeed, the most important work and legacy of Anscombe was that, more than anyone else, she was responsible for bringing Wittgenstein and his work to the attention of the world. Anscombe visited with Wittgenstein many times after he left Cambridge in 1947, and traveled to Cambridge in April 1951 to visit him on his deathbed. Wittgenstein named her, along with Rush Rhees and Georg Henrik von Wright, as his literary executor, and after his death in 1951, she was responsible for editing, translating, and publishing many of Wittgenstein's manuscripts and notebooks. Anscombe was unlike nearly all of her Oxford and Cambridge colleagues in being a staunch Roman Catholic Christian, and she scandalized liberal colleagues, such as Bernard Williams, with articles defending the Roman Catholic Church's opposition to contraception in the 1960s and early 1970s. She also wrote against homosexuality. Later in life, she was arrested twice while protesting outside an abortion clinic in Britain, after abortion had been legalized (albeit with restrictions). Anscombe remained at Somerville College from 1946 to 1970. She was also known for her willingness to face fierce public controversy in the name of her Catholic faith. In 1956, while a research fellow at Oxford University, she protested against Oxford's decision to grant an honorary degree to Harry S. Truman, whom she denounced as a mass murderer for his use of atomic bombs at Hiroshima and Nagasaki. 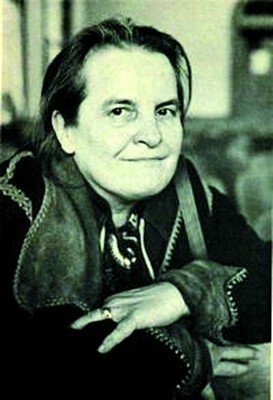 Anscombe was elected Professor of Philosophy at Cambridge University in 1970, where she served until her retirement in 1986. Anscombe was known for her outspokenness and often rudeness. Some called her "Dragon Lady." She sometimes wore a monocle. She was completely impatient with pretension and pompousness, but she devoted a great deal of time and effort to students who she regarded as being serious. Her tutorials went on for hours and left everyone exhausted. She allowed students to drop in at her house to discuss philosophy at any time, among the dirty diapers. Although married to Geach, she was always known formally as "Miss Anscombe." Although strongly Roman Catholic she was not straightlaiced and could be quite foulmouthed. It is reported that whe was once threatened by a mugger in Chicago, and she replied to him that that was no way to treat a visitor, whereupon they fell into a conversation and he accompanied her to her destination, telling her that she should not be in such a dangerous neighborhood. For some years whe was a chain smoker, but when her second son fell seriously ill she bargained with God that if her son recovered, she would give up smoking cigarettes. But the following year, under the strain of not smoking, she reasoned that her bargain with God had not included cigars or pipes, so she took to smoking those. She always wore trousers—even pink stretch pants!—often under a tunic, except when she was pregnant, and in those days that too often met with disapproval. In her later years, Anscombe suffered from heart disease, and was nearly killed by an automobile accident in 1996. She spent her last years in the care of her family in Cambridge. She died, aged 81, with her husband and four of their seven children at her bedside, on January 5, 2001. Some of Anscombe's most frequently cited works are translations or expositions of the work of her teacher Ludwig Wittgenstein. She wrote an introduction (1959) to Wittgenstein's 1921 book, the Tractatus Logico-Philisophicus, which brought to the fore the importance of Gottlob Frege for Wittgenstein's thought and, partly on that basis, attacked "positivist" interpretations of the work. She edited his posthumous second book, Philosophical Investigations (1953). Her English translation of it appeared simultaneously and remains standard. She also edited or co-edited several volumes of selections from his notebooks, translating some of them, for example the Remarks on the Foundations of Mathematics (1956). Her most important work is indisputably the monograph Intention (1957). Three volumes of collected papers were published in 1981: From Parmenides to Wittgenstein; Metaphysics and the Philosophy of Mind; and Ethics, Religion and Politics. Another collection, "Human Life, Action and Ethics" appeared posthumously in 2005. She suggests that a true account must somehow connect these three uses of the concept, though later students of intention have sometimes denied this, and disputed some of the things she presupposes under the first and third headings. It is clear though that it is the second that is for her crucial to her main purpose, which is to comprehend the way in which human thought and understanding and conceptualization relate to the "events in a man's history," or the goings on of which he is subject. Rather than attempt to define intentions in abstraction from actions, thus taking the third heading first, Anscombe begins with the concept of an intentional action. This soon connected with the second heading. She says that what is up with a human being is an intentional action if the question 'Why,' taken in a certain sense (and evidently conceived as addressed to him), has application (Intention, par. 5-8). An agent can answer the 'why' question by giving a reason or purpose for her action. "To do Y" or "because I want to do Y" would be typical answers to this sort of "why? "; though they are not the only ones, they are crucial to the constitution of the phenomenon as a typical phenomenon of human life (sections 18-21). The agent's answer helps supply the descriptions under which the action is intentional. Anscombe was the first to clearly spell out that actions are intentional under some descriptions and not others. In her famous example, a man's action (which we might observe as consisting in moving an arm up and down while holding a handle) may be intentional under the description 'pumping water' but not under other descriptions such as 'contracting these muscles', 'tapping out this rhythm', and so on. This approach to action influenced Donald Davidson's theory, despite the fact that Davidson went on to argue for a causal theory of action that Anscombe never accepted (see Anscombe (1981) as well as Anscombe (1957)). Intention (1957) is also the classic source for the idea that there is a difference in 'direction of fit' between cognitive states like beliefs and conative states like desire. (This theme is later taken up and discussed by Searle in Intentionality (1983)). Cognitive states describe the world and are causally derived from the facts or objects they depict. Conative states do not describe the world, but aim to bring something about in the world. Anscombe used the example of a shopping list to illustrate the difference (see Intention (1957), par.32). The list can be a straightforward observational report of what is actually bought (thereby acting like a cognitive state), or it can function as a conative state such as a command or desire, dictating what the agent should buy. If the agent fails to buy what is listed, we do not say that the list is untrue or incorrect; we say that the mistake is in the action, not the belief. According to Anscombe, this difference in direction of fit is a major difference between speculative knowledge (theoretical, empirical knowledge) and practical knowledge (knowledge of actions and morals). Whereas 'speculative knowledge' is 'derived from the objects known', practical knowledge is—in a phrase Anscombe lifts from Aquinas—'the cause of what it understands' (see Intention (1957), par.87). Anscombe made great contributions to ethics as well as metaphysics. She is credited with having coined the term "consequentialism." She was also a strong opponent of utilitarianism and other forms of consequentialism because they have no sound way of not countenancing the executing of a guiltless person if that will lead to good consequences or large scale happiness. She said of someone who thought that way, "I do not want to argue with him; he shows a corrupt mind." The denial of any distinction between foreseen and intended consequences, as far as responsibility is concerned, was not made by Sidgwick in developing any one 'method of ethics'; he made this important move on behalf of everybody and just on its own account; and I think it plausible to suggest that this move on the part of Sidgwick explains the difference between old-fashioned Utilitarianism and the consequentialism, as I name it, which marks him and every English academic moral philosopher since him. She argued in that paper that present-day notions such as "moral obligation," "moral duty," "morally right," and "morally wrong" are things that have been held over from the Judaeo-Christian idea of God as a lawgiver, and that these notions have now become vacuous. She said that "ought" has come to be "a word of mere mesmeric force" because we no longer thing that we ought to do things "because we are commanded by God." Anscombe also coined the term "brute facts," as opposed to facts constituted by them in the presence of appropriate institutions. The term had a major role to play in John Searle's philosophy and speech act theory. Her paper "The First Person" follows up remarks by Wittgenstein, coming to the now-notorious conclusion that the first-person pronoun, "I," does not refer to anything (not, e.g., to the speaker). Few people accept the conclusion - though the position was later adopted in a more radical form by David Lewis - but the paper was an important contribution to work on indexicals and self-consciousness that has been carried on by philosophers as varied as John Perry, Peter Strawson, David Kaplan, Gareth Evans, and John McDowell. ↑ About the Socratic Club 'debate' From the minutes of the Socratic Club: C. S. Lewis's Miracles Before and After Anscombe. Sonic.net. Retrieved July 19, 2007. Dolan, John. G.E.M. Anscombe: Living the Truth. First Things: the Journal of Religion, Culture and Public Life (May 2001): 11-13. an obituary or memoir by Professor John Dolan. . Retrieved April 29, 2008. The Guardian January 11, 2001, Obituary: Elizabeth Anscombe.. Retrieved April 29, 2008. Monk, Ray. (1990/1991). Ludwig Wittgenstein: The Duty of Genius. New York: Penguin Books. ISBN 0140159959. Frequently Asked Questions about C.S. Lewis: "Were Lewis's proofs of the existence of God from Miracles refuted by Elizabeth Anscombe?" Three Philosophers with Peter Geach, on Aristotle, Thomas Aquinas and Gottlob Frege. Ithaca, NY: Cornell University Press, 1961. G. E. M. Anscombe: Contraception and Chastity. "Mr Truman's Degree" the pamphlet Anscombe distributed concerning Truman's honorary Oxford degree. 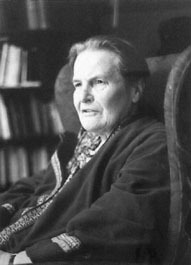 Webpage of bibliography on the British philosopher Elizabeth Anscombe (1919-2001). BBC 4 "Women's Hour" program on Anscombe featuring remarks of Philippa Foot and Rosalind Hursthouse. This page was last modified on 16 May 2017, at 19:19.